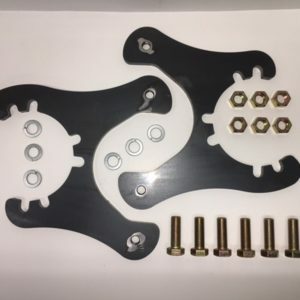 These kits uses overbuilt thick brackets, spacers, and hardware. 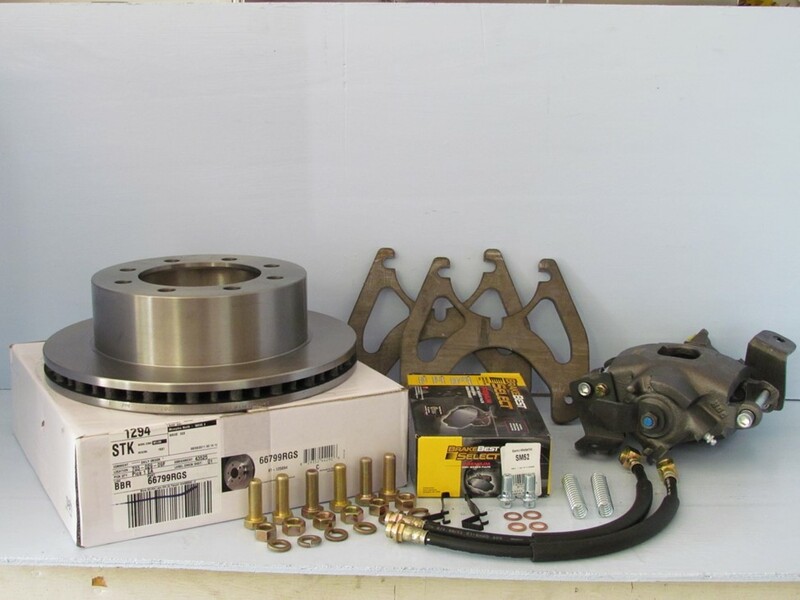 These kits also comes with new rotors, re-manufactured calipers w/ e-brake provision, semi metallic brake pads, hub seals and new caliper pins and anti-rattle clips. 2 pieces 3/8″ thick laser cut brackets from 1020 steel with tapped caliper mount holes & required laser cut shims. 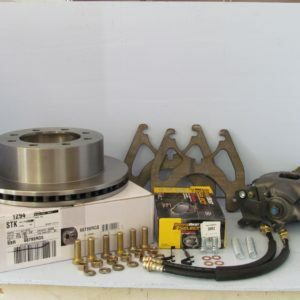 Fit : This is the Gen II Kit for trucks with Slide Off Drum’s. Normally, only found on 1990 and newer models. Some models may require new brake lines to be installed.